When Daddy went to Wimbledon during the week I made a pack of the Sharwood Wraps Kits for dinner. Wraps are one of my favourite ways to eat food and as they only take minutes to prepare so it's the perfect food for when it's just me, Tops and BB in the house. In the end the children didn't want to eat the wraps, so I had a couple for dinner and then saved the rest for lunch the next day, which I shared with a friend. I really liked them, despite what the children thought, and so did my friend. The spices for the chicken was tasty, the wraps were nice and the sweet chilli sauce was a lovely. The only problem was that my kitchen was really stinky for the rest of the evening! I'm not sure when I'm going to be able to make the rest, as they aren't gluten friendly (and so Daddy can't eat them), so I'm going to pass them onto my sister as her family would love them. I'm trying to keep costs down at the moment, so the meals that I'm making are all fairly cheap. At the same time though I'm trying to be healthy as I don't want to cancel out all my working out at the Gym! I tend to serve everything with Salad and fill up on that and the protein part of the meal, so hopefully I should be okay this week! We eat a lot of Chicken as a family, and I have a pack that is needing to be used up so I will make a Salad, New Potatoes and some bacon wrapped asparagus. I saw the bacon wrapped asparagus on Pinterest and knew I had to try it! I think that it will add something different to the meal and will be a lot of fun too. I don't know why I even blog a Sunday Meal plan seeing as how it's always the same! My herb garden is going great and I love using fresh herbs in my Roast prep although I am going to try making Yorkshire Pudding again this week to see if Daddy is able to tolerate it. I miss Yorkshire Puddings! I've been craving Fish and Chips for ages, as we can only get it from a Take Away on a Sunday or a Monday (As they do Gluten Free those nights) I'm thinking that we should go for it today. I'm off out with my Mum this evening to see Murder on The Nile at Milton Keynes Theatre, so Daddy will pick her up and then pop to the Chip shop with her before coming home. It's a treat for all of us. Big Boy has asked every meal time this week if he has Lasagne for dinner. Every time I have had to tell him that it isn't on the meal plan and that I would add it next week. Finally he gets it tonight, so he'll be really pleased. I'm going to make some Garlic Bread to go with it and will serve myself a huge salad too. Big Boy and I are out during the day in London with some friends and some of the Cussons team. I'll put some Jacket potatoes into the slow cooker before we go out in the morning and they will be ready for us to create our own toppings by the time we sit down to eat. I haven't made Cheesy Bean Pie for AGES, it's really simple you just put cold beans with grated carrots and gently fried bacon bits and finely diced onion into an oven proof dish and top with mashed potato and grated cheese on top. Cook this in the oven for about twenty minutes and then serve! Tops, BB and I will have an egg in the middle of ours, but as Daddy is still off eating whole eggs he won't. It's a great meal as it's cheap, tasty and if you don't put in the onion and bacon quite healthy. Everyone loves Sausages here at AMR and everyone loves Rice too. You slice the sausages and gently fry with a little oil and some onion. After everything is starting to turn a nice colour add some stock. At the same time cook rice according to pack instructions (we like to cook it with the right amount of water for absorption). Add in some frozen veg (peas or sweetcorn go best) to the rice and about half way through the cooking time and once the rice is cooked stir in the sausage, onion and stock mix. Mix it all together, add more stock if needed and serve! 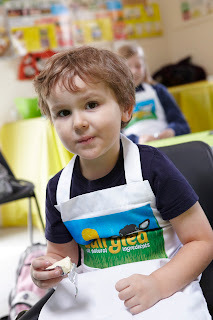 Last weekend Big Boy and I got to spend the day with Dairylea to find out more about their new all natural recipe. We had a great day, and I was inspired to make this weeks Friday lunch for Top Ender! Dairylea Triangle and a boiled egg Mice! Making the egg mouse is even easier. Take one boiled egg and carefully peel it, slice a thin piece of the egg off so that the egg will sit flat in the lunch box. Cut two circles of hot dog to make ears, use the red pepper slithers to make eyes again, a bit of pepper to make a nose and then a tail using the red pepper skin to make a tail again. Big Boy and I are going to love eating our lunch today as it will bring back memories of our time with Dairylea at the farm! Like all children Tops and BB love a good ice cream, ice lolly or ice pop. The sound of the ice cream vans bells or the sight of an ice cream freezer in a shop sends them into a frenzy when the weather is warm and as much as I love my children I don't love the prices of individual lollies, ice creams or ice pops especially when you can buy a pack or tub for not a lot more. The children love making their own ice cream sundaes, and so we have a few ice cream tubs in the freezer to dish out from and we keep a variety of toppings available as well as whipped cream so that everyone can have their favourite garnishes. Out of the Angel Delight Ice Cream that we've been making, I've made a few more Angel Delight Ice Cream Lollies too. So far these have been some great after dinner treats and we love the extra fruit that we are getting in the ice cream too! We have made a few Ribena Lollies, LOL Lollies and a few Smoothie Lollies and they are all sitting in the freezer waiting for us to get to them. It's nice to have a variety of different lollies that we can choose from and apart from the initial cost of buying different ice cream moulds, it's a really cheap way of making different Lollies. I've brought a lot of ice pops from different stores, making use of the different offers and Daddy is very pleased as he has been slowly munching his way through them as late night snacks. I've been very good and not eating them, as I'm mostly at the gym! Hopefully having so many different types of ice cream, ice lollies and ice pops will give us all enough variety that we won't be temped by the ice cream van when he comes round! Do you make lollies for your family to snack on? What kind of lollies do you make? I wasn't going to join in with The Gallery this week as the image I wanted to take for it was of me at the gym, but it's rather hard to take a picture of my hands on the gym equipment when I have to hold the camera too. I was busy writing a post for Pippa World, when I remembered this picture from last night and thought I had to join in just so I can make a joke. Here is Daddy at Wimbledon yesterday evening (he's the one under my finger). He was on Centre Court and so got to watch some great tennis. Due to where he was sat I got to play one of my favourite games which is find your husband in the audience when you pause the TV. My favourite game is to play The National Lottery Hand. Could it be You? Or You? OR YOU????? Of course we can also point out that we can see the hands of Andy Murray, and what great hands they are. I mean have you seen him serve a tennis ball? And we can see the hands of the audience giving a round of applause. What other sound can hands make that can show so much appreciation by so many? I've also started stocking the freezer ready for summer, with plenty of ice pops and I've been slowly increasing our supply of ice cubes with a few surprises for Tops and Big Boy too. The most exciting of which are the Vampire teeth ice cubes! I think it would be great fun to find some vampire teeth in your drink, and I thought that it might be fun to find some blood filled vampire teeth too. To make the coloured cubes I just added some food colouring in the water. I'm going to make some more different shaped ice cubes for Summer, and I'm planning on making them different colours too. What colours do you think I should make? What colours do you associate with Summer? 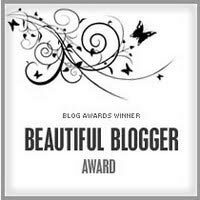 1) I've joined a gym, and I'm blogging about it over at Pippa World. As many of you know I am very over weight and despite being exhausted come tea time I'm loving my early morning gym sessions! 2) I can't make what we call in my family Scottish Soup. It doesn't matter how I cook it, the broth still tastes disgusting. It's a shame though because Scottish Soup when cooked properly tastes proper lovely. 3) I have a scar on my cheek from where my sister accidentally scratched me and took a huge chunk of my cheek out when I was about ten. It was the same day that she ate a really hot chilli pepper without knowing what it was and choked on the heat, so she got what she deserved! 4) If you offer me a Chinese buffet or an Indian buffet I'll go for the Chinese every time. 5) I'm slightly addicted to FourSquare. I'm not sure why, but I have two mayorships now and I'm not going to let go of them! 6) I have a sweet tooth, a really sweet tooth. This seems to be unfair when I'm on a diet. 7) I like standing in the rain, I don't care that I get wet I just like the smell of it. And so now on to those I'm linking up to. Emma at Me, The Man and The Baby because we haven't spoken properly in ages. Jen at Mum In The Madhouse because after seeing her at the weekend I'm missing her! Vic at Glowstars because her blog got hacked by meanies. Laura at Are We Nearly There Yet Mummy? because I can't walk past a moustache without thinking of her. Gina at Cold Tea and Smelly Nappies because I love her Twitter avatar! As usual if you want to join in but I haven't tagged you then join in anyway! What else to do with a Hexbug Track? That's right she made a Hexbug Track Flower. As you can see, our collection of Hexbugs and track has increased since the first pack of Hexbugs that we were sent to review back in 2010 (was it really that long ago?! ), but we are still finding new ways to play with them! I'm really excited about lunch this week! I'm starting to give BB packed lunches for him to eat at home so that he is used to what he will get when he is at School this September, and we will be able to work out if there are any problems with opening boxes or packaging. We ended up buying some some precooked chicken pieces for Sunday Lunch, and there were a few bits leftover which Top Ender straight away wanted to know if she could have them for lunch. I've served it with a roll so that she has some carbohydrates. Daddy is off to Wimbledon today, so I thought it would be a good idea to make Top Ender a Wimbledon lunch today too. 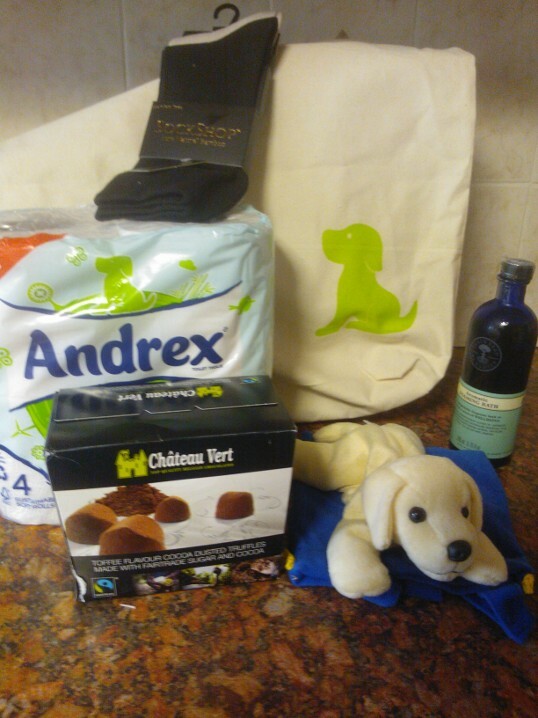 I've already got a few different treats for Daddy planned which I will put into a small cool bag for him, that way he won't have to worry about queueing to get food instead of watching some quality Tennis. After last weeks American lunch with Hot Dogs, Tops asked if she could have warm hot dogs for lunch so today is a hot hot dog! I'm going to check in advance what happens when the hot dog bun is warm, because I think that it might go soggy, so we might add them to a different container. Tops loves a ham sandwich, so I thought a Tuesday ham sandwich would be great. I'm going to add in some grated carrot and grated cucumber for different textures, plus when it's done this way the cucumber doesn't make the bread soggy! This Friday there are some treats for Top's lunch that I can't wait for! I think that this is going to be great fun and will bring forward a lot of memories for parents! You're going to need Cheese, Spring Onions, Ham, raisins, sprinkles, crackers and chopped vegetables. I'm so late in posting this, because I've been so busy this weekend! I'm trying to get used to my new gym schedule and I was out on Saturday with BB and Dairylea and there is a whole lot of excuses going on! I have however gone and done the post as of Saturday! There are leftovers in the fridge from Friday and in the freezer and enough eggs to make omelettes or cereal or whatever anyone fancies. Tops has a birthday party quite late and part of it is going to McDonalds for a meal, so she won't need to eat. BB and I will be at a Dairylea event during the day so we will have food whilst there and will have a few snacks to feast on, on the way home. Everyone is in charge of making sure they personally aren't hungry, although I'll probably take responsibility for BB! My Mum is coming for dinner on Sunday (no, really this time), so you can expect the works for dinner. The only downside is there won't be any leftovers for eating during the week! Jacket potatoes are my go to cheap eat. I've got some different toppings and plenty of Salad so we will all have what we like. I'm going to go with grated carrot, strips of peppers and a very tiny amount of cheese, but I know that the rest of the family will be all about the beans and cheese. Daddy is off to Wimbledon today, so he won't be eating with us. As he isn't around, Tops, BB and I are going to make the most of it and have one of the Sharwood Wraps kits that were sent to us to try. We have two different Chinese ones and an Indian one, but I'm not sure which one I will make just yet! The great news is that I know that everyone will eat these because both Tops and BB love wraps. I really love pie with Mash, but it's something that we don't eat all that often because I don't like making gluten free pastry! I brought some the other day though and I thought that a Turkey and Mushroom pie was needed. We love Gammon, and we love Pasta so combining them together is going to make one of our most favourite meals ever! I thought of putting in the spinach as Daddy complains that I use peas to much, he doesn't like sweetcorn and I didn't think that carrots were a worthy addition to the dish. I really need more go to vegetables! There is going to be gammon left over from last night so I'll add the leftover pieces to pizza! We love making home made pizza and it's fun to use up leftovers too. One of the best things is that everyone loves pizza so I know that everyone will eat them and they are really easy to make Gluten free too. So with Daddy suggesting that I make a rocket for Top Enders lunch this week, I was thinking about flying things and thought the best lunch would be a Ladybird! We have seen a few around this year and Top Ender has been talking about having a bento lunch of lots of little ladybirds. I think she is hoping to make them out of grapes or similar (I do have an idea, but I don't have the time at the moment) but I thought it would be a lot easier to make a ladybird out of a burger bun! As you can see Tops is still eating a few portions of fruit everyday, there is a frozen yoghurt and some cheese spaghetti (she doesn't like it as much as real cheese or the sticks) and she has a choc chip muffin because it is Friday! Making the ladybird was really easy. Take a burger bun butter it, add ham for a filling and then split the top bun into wings. I did cut the bottom bun to make it a more manageable size, but you can't see this. I used my apple corer to cut some circles from ham to place on top of the bun and using a slice of cheese cut out the ladybirds head and antenna. The ladybird is resting on a layer of green leaves, which are really just a portion of green grapes cut in half, but I think that Top Ender rather than this little bug will find them very tasty! LOL - Actually it's a serious business! A few weeks back we were sent some cans of LOL to try. I posted about them over on Facebook because they look so cool and also because where I sit at the table is close to the PC so I was able to reach across and post whilst waiting for dinner to be served. We quite liked the raspberry flavour and Big Boy loved the orange flavour, polishing off his third of a cup quite quickly, so when a few weeks later we were invited to go to The Rainforest Cafe for another try of the drinks and to talk to one of the staff behind the drinks we left Top Ender at School and headed off for the day. When we arrived Big Boy started chatting to an entertainer whilst I was able to talk to the PR Team, one of the team behind LOL and a nutritionist who I've met before. I did have notes of names, but somehow the piece of paper I had it all on has gone missing. Despite my rather naff note keeping ability, I do remember it was rather intimate and we were told about a lot of different aspects of the drinks, how they were conceived, why they were made the way they were, why they were what size they were and even how in moderation even fizzy drinks can be part of anybody's diet. I didn't take any photos on the day, as I was far too busy trying to listen and make sense of everything and I was sitting next to the lovely A Modern Military Mother (who I got to meet properly this time) I as aware that she was taking lots of photos, so if you want to see some pop over to her blog to have a look! We carried on chatting over a lovely lunch (I had sea bass, BB went for Pizza as normal!) about everything under the sun and then were sent home with some more of the drinks, and several balloon creations. When BB and I got home we decided to make some LOL lollies, apparently this is a good way of eating fizzy drinks because you eat them quickly so the sugar doesn't sit around on your teeth. The same goes for drinking through a straw, as that goes to the centre back of your mouth and so for those of us who worry about tooth decay (remember how BB had to have teeth surgically removed?) there are more steps that can be taken. 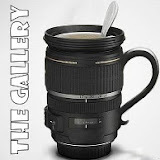 Will we buy the drinks in the future? Well, if we are in a pub and they are one of the soft drinks on offer then I probably would, if I were planning a special picnic or party for grown ups then I might include them then but I don't think I'll be encouraging Tops or BB to buy them when we are out and about as I'm rather pleased that Tops won't even try fizzy drinks and that they both prefer water too. 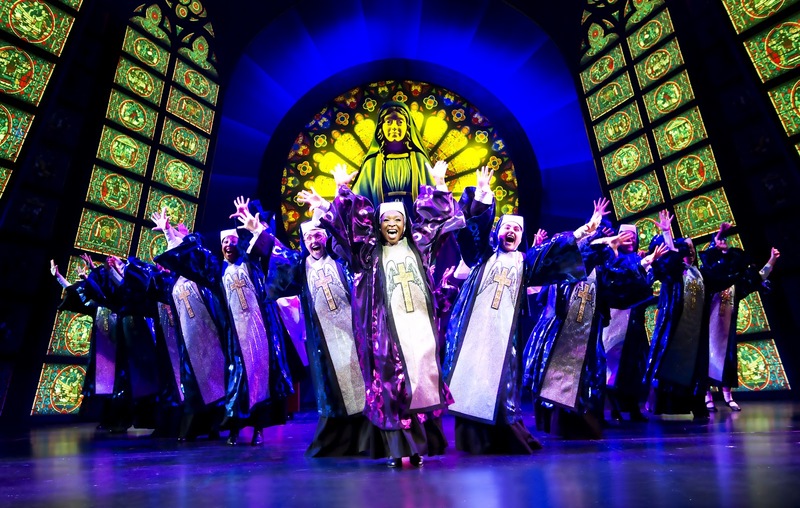 I don't think there is anyone who hasn't seen the film Sister Act or who couldn't tell you what the story was about, so when Daddy and I saw that the Stage show was coming to Milton Keynes Theatre we were quite excited. We love the film and thought that a Musical version would be fantastic. 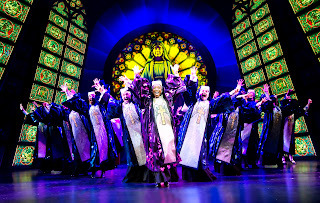 Despite three of the main cast being played by understudies the show was one of the most upbeat, toe tapping, happy productions that Daddy and I have seen in a long time. There are a few changes to the film story, and there is all new music for the show too, but the changes make sense and the music is fantastic. I've been humming a few of the songs since leaving the theatre and I'm after a cast recording to add some of the tracks to my work our playlist! The entire cast were fantastic, although the show was stolen for me by Curtis's Goon's (Curtis is the bad guy!) whose comic performances were laugh out loud moments. A lot of the religious jokes seemed to go by unnoticed by some of the audience, but it made me realise how well the show is written. I'd be very tempted to go again to see the show, because it's the sort of show where you can watch it more than once and find something new to marvel at. It is billed as being a family show but if you are taking young children be warned there are a couple of swears in it that caught me off guard. Milton Keynes Theatre provided me with tickets to see this show. We had Big Boy's first induction/interview at School today. We had a work book that we had to fill out in advance, with simple smiley faces to show if BB could do a few simple things or if he wasn't quite there yet and we then had to take this with us. It also gave us a chance to speak with the head of the foundation stage about what BB was like, about his likes and dislikes, how we thought he would do at School and so the School could see what sort of family we are too. It's a bit late really, seeing as how they have already offered him his place at the School and we've been sending Tops there for the last four years! BB has been really interested in knowing what it is that he is going to do at School when he goes this September (he thinks that he will be in Top Enders class!) and so I've told him that he will mostly be playing. Of course I know that he'll be learning things whilst he plays and I know he'll be taught a lot, but there is still so much that I want to teach him before he goes to School. Having filled out this booklet with him I know that I don't have to worry about him learning things like colours or shapes or counting. I know that the basics that he has is due to the fun we have at home with his toys and some of the TV programmes that we watch. I don't take any credit because this is all BB, I'm merely another tool for him to use! The teacher was very pleased that BB loves playing with Duplo (and we love being part of the Duplo Bloggers team because we get to play with new Duplo sets on a regular basis) as they use it in the Early Years as a play toy and for maths work too. I love the extras that are printed on the blocks, such as the numbers in the Play with Numbers set or the Play with Letters set we gave my sister. We were sent a new pack recently, a My First Farm set, which at first glance I thought was just a Duplo farm set, but reading the booklet that came with it, I understand that it is a lot more than just a farm. The booklet has questions in which you can ask whilst playing and this was such a great idea, that I can't believe I didn't think of it already. I have no idea what BB or the Farmer are looking at. They are both looking in the same direction though! The questions are simple, like how many red bricks are there? How many bricks have I stacked in this pile? How many animals are there? Which structure is biggest? What do you get from a Chicken? A Sheep? A Cow? Big Boy loved the fence the most and kept explaining to me how if he used all four pieces he could make a square and a diamond shape, but that if he used three he could make a triangle. It was so great seeing him experience this with his own hands instead of using bricks or drawing shapes and it surprised me at the time just how ready in some ways he is for School, but then seeing him this afternoon playing with children a year older than him I don't know why I was surprised. I'm not worried about BB going to School this September... okay so maybe a little bit! When Leoni-fay of Cakes, Babies and other ramblings tagged me in the Yummy Mummy Meme I thought that it must have been to do with my recent declaration of gym membership. I promise to stop going on about it soon, but I figure if I keep talking about it, keep telling people about my new monthly expenditure that I will actually go and will soon be as yummy as I hope to be! So here you go, my answers are below! Well, normally it is roll out of bed and go to get BB before going downstairs, but I've been waking up early for the last few weeks and so I've been reading one of my hundreds of books that I get out from the Library or catching up on emails and tweets on my phone. Now though it's going to be getting up and going to the Gym! No. I have a good reason though! I don't have a shower any more! We really, really really need to get that fixed. No. I used to but to be honest I just can't be bothered with it. I keep a tinted moisturiser in there, a blusher, two mascaras (one is sparkly), some eye liner, some eye-shadow, a lip liner, a lipstick, a few hair bands and hair pins, some tissue, some mints and a tiny bottle of perfume. I do them myself every week, but my sister gets hold of me roughly once every couple of months and sorts them out properly for me! I always get her to do my eyebrows at the same time! I take it that going to bed isn't the right answer here, but that's my answer. I have actually never been in either. I keep threatening that I'm going to start living in Costa Coffee when BB goes to School this September, but with the gym fees I don't think I'll be able to afford it! How many children do you have/want? 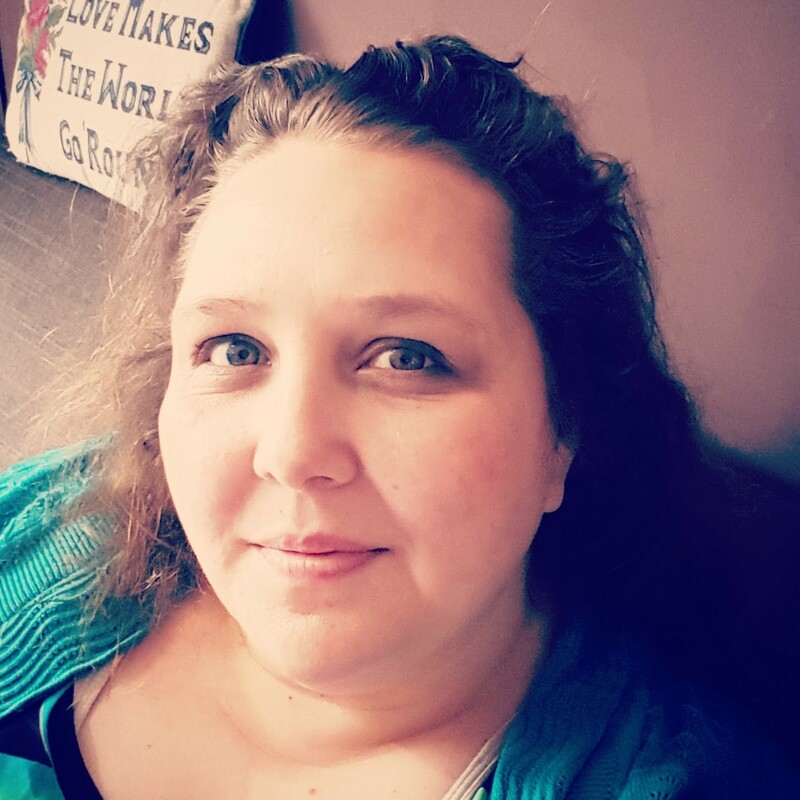 I have two children, they are adorable and everyone seems to think that because I have one boy and one girl that I shouldn't want any more. I don't know if I do want any more to be honest, I think that I just had in my head a vision of having more than two children for so long that I don't want to give that image up. Ooh erm, well I don't really do a big shop for them at the start of the season but I do love some of the bits that H&M do. I'm more a Supermarket kind of girl for clothes when they need them because my two grow out of things so quickly, or stain them or put holes in them so I don't want to spend a fortune when I don't have one to spend! I wear flats all the time, if I have to wear heels (for example with a posh dress or for some other unknown to me at this moment in time reason) then I get home as quickly as possible after! Tweet with the hashtag #YummyMummy when you share on Twitter. Over the weekend Daddy and I had a very serious talk where I was explaining to him just how much I hate being overweight and how I really need something else to help me to lose weight. I explained that I thought if we could go down to the Outdoor gym once a week as a family it would really help my motivation and fitness and our health as a family too. Daddy being the kind hearted soul that he is suggested that I join a real gym, once with a ceiling so I could go when it's raining and a swimming pool so I could swim and people who actually know what they are doing so they could advise me. We can't really afford it, but we will make cut backs in other areas because as we know if you haven't got your health then you haven't got anything and so I've started investigating two gyms local to me. 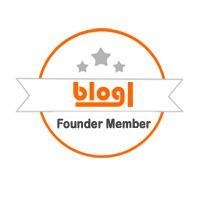 One of them, Daddy and I used to belong to before we had Top Ender. We stopped going because they didn't allow children and we knew that we were going to want to take Tops swimming, plus with a new baby neither of us had the energy to go to a gym! The other gym I'm considering is more local to us, and it's where I take Tops and BB swimming. Phoning them this afternoon to get some information (and possibly see if I could talk my way into a discount to make them a closer price to our old gym) led me to be my usual funny and charming self, but I didn't expect to almost make the chap talking to me wet himself laughing. The chap asked me several questions about why I wanted to join a gym, how often I thought I would attend (Daddy has made me promise to go four times a week as a minimum), what my goals were, if I'd ever been a member of another gym, what sports I like to play etc and then he asked me how long I'd been thinking of joining a gym. There was a slight pause where I started to laugh, knowing that my answer had thrown him. It was several minutes before he was able to stop himself laughing. Apparently I'm the funniest telephone enquiry he has ever had and he can't wait to meet me this afternoon for a tour of the gym. I hope he knows I'm married. We don't drink alcohol here at A Mothers Ramblings, we drink a variety of soft drinks and water but we don't have a special drink that we can pull out on special occasions or to celebrate family events with. 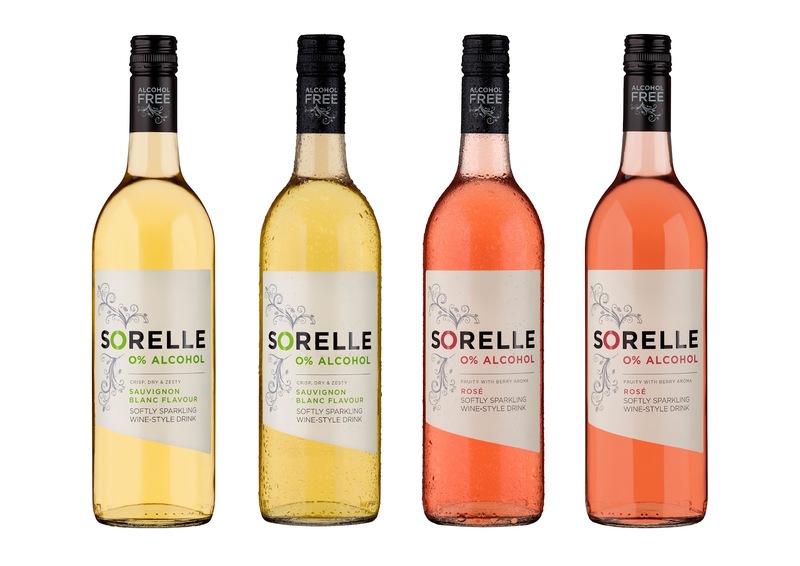 For Father's Day we were asked if we would like to try Sorelle a brand new 0% wine-style drink that is launching in the UK. We were sent a bottle of Rose, which I put into the fridge ready to accompany the Sunday Roast. We offered the Children a glass, but both declined which was good as Daddy and I really liked the drink and drank the entire bottle during dinner. Thank goodness it's only 24 calories a glass (there is about 83 in a glass of a Rose with alcohol) as it means that my outdoor gym workout that morning hadn't been for nothing! It's hard to explain because I've not drunk alcohol for so long, but it did taste like what I thought I remembered wine tasted like. There is that crispness and that dryness along with the fruitiness and sweetness that you expect and it just tasted good. Daddy also agreed that it tasted very nice and fought me for the last half glass in the bottle (I won) and I've already added it to our shopping list for next week. I told my Sister and my Nan about the drink before we tried it, as it's something that I thought they would both be interested in, as they are both "proper" wine drinkers. My Nan is waiting for me to give her a call so she knows if I think she should add this to her shopping list as she thought something like this would be good to offer her guests who drive and I'll be buying my sister, who is breastfeeding, a bottle too. My Mum is coming for dinner this weekend (well barring any last minute illness) and so she'll have some of the Sorelle too. It's going to be a regular item on our Tesco shopping list as at £3.49 a bottle its not so expensive it will break the bank but it's not so cheap that we'll drink it all the time and become bored with it. Also I noticed when adding it to the shopping list that until the 17th July it's part of a buy any 2 for 1 offer, so a great time to stock up. We were sent a bottle or Rose from Sorelle to review. Last week Top Ender and I were chatting and Tops asked if we could make extra roast dinner on the Sunday so that she could have a Roast Dinner Sandwich on the Monday. I'm such a lovely Mum that I agreed (I actually always make too much so it's not that much of a bother really!) and so this Monday Tops, BB and I will be having a Roast Dinner Sandwich. Well, Roll actually. I will layer stuffing, Chicken and some leftover vegetables in the roll, and as the Muppets movie is out on DVD on Monday I'll be making a special Monday snack too. I'm going to finely chop carrots, cucumber, red onion, tomatoes and some lettuce and mix it up with some ham to stuff into Pittas. My Mum used to make things like this for me and my Sister and it tasted delicious. It's a perfect lunch for Sunny days... I just hope that this Tuesday will be sunny! Tops and Big Boy love egg sandwiches, they don't like tomato all that much but I think a mix of egg and tomato would be nice, and will get an extra portion of vegetables (well fruit really) into them too. Using little mini baguettes is fun as Tops and BB love them as they are a manageable size for them and they love baguettes. I thought it would be nice to have a cheese sandwich this week and was trying to think of something that was special. I thought about making some pizza sandwiches, but thought a pocket sandwich might be better! Plus it means I finally get to use one of my sandwich tools! Daddy suggested that I make a rocket sandwich this week, but I wasn't sure. The Mr Potato Head Roll last week was a lot of fun and the Star Quiche so easy to make I just wanted to do something really cool and fun this week. Yes, rockets are fun but I felt that it would be more suited to November when we celebrate the failed attempt by Guy Fawkes and friends to blow up the Houses of Parliament by blowing up bits of cardboard and the Neighbours shed. Instead I've decided to do something to bring us some more sunshine. Don't forget to come back on Friday to see what I created. We're at the point here where everything in the freezer has been eaten, and so I need to work on stocking up the freezer and creating some nice meal for the family and all within my budget too. I pretty sure I'm not the only one who buys meat when it is on offer and stores in the freezer for use over the next couple of weeks to make better use of my budget. My budget is around £60 a week, what do you spend? I'm interested because I always feel that I'm spending a lot on not very much and I want to see compared to others! As it's a special celebration weekend, we thought some Steak and Chips would go down nicely for Daddy. Tops and I. Big Boy is still going through a only eat Chicken or ham phase so we'll serve him a small bit of steak but he'll probably ignore this and choose to eat something else. I'll make sure to get some nice ham in for him. Daddy normally cooks the steak, but I think if I find some thicker pieces for a good price that I might cook it as Daddy likes his steak medium and I prefer mine rare. I don't think Daddy knows how to cook steak rare. We'll serve this with Mushrooms, Salad for me and Daddy will have beans... the cretin. 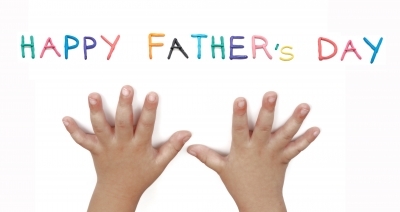 The roast this week is a little special because obviously today we are celebrating Fathers Day! As per Top Enders request I'll be making lots of stuffing and extra helpings of vegetables as Tops as has asked to have leftovers for lunch at School. As a treat for Daddy on Fathers Day we're having a pudding too. I've asked Daddy to let me know what pudding he would like, and he has until I go shopping today to let me know... if he doesn't come up with something then I will serve some Ice Cream Sundaes as we have everything we need in the cupboard and I brought some bowls last week that I want to use again! 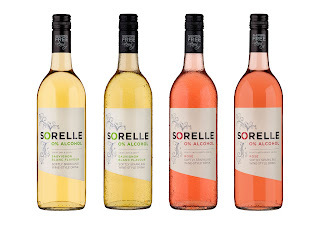 We have some Sorelle to drink with lunch too, it's a new to the UK alcohol free wine style drink which is great for me as I don't drink alcohol. I'll put a review up on Sunday evening of what we think, but hopefully it's going to go down well. I was reading through a website during the week which I can't find again and there was a recipe for a Southern Style Spaghetti dish, it got me thinking and I decided that we were going to have to something similar this week. I really love Broccoli and so does Daddy, so I think if I mix tiny little florets in that Tops and BB should be okay eating it as they love it in a few different pre made dishes that they have had in the past. Finally we will get to eat the Twice Baked Jacket Potatoes. Oh yes we blooming will. Daddy and I are off to see Sister Act at Milton Keynes Theatre AND Big Boy is having his first interview at School during the day so we wanted something quick and something that Big Boy would think of as a celebration too. My Mum will more than likely be babysitting and so I think that Tops and my Mum will have KFC as that's what my Mum loves! It feels that we haven't had fish for ages and I'm really missing it! I used to eat Trout all the time when I was at University, but haven't had it for years so I think that if I don't include it in tonight's dish then we'll have to have it in the next couple of weeks. I'm planning on making Fish Pie and I'm going to include some Jumbo Prawns as Daddy and I really enjoyed them as our starter on the Jubilee Weekend. I'm not sure what our film is going to be this week, so I haven't planned the pudding but it'll be something special! I asked Daddy to give me some suggestions of meals that he would like this week and he asked for Chicken Sweet and Sour Stir Fry like his Dad used to make. I think that it will be a good Friday night meal, so we can serve it with rice and prawn crackers. I'm going to do a couple of side dishes to go with it too, some veggie noodles and I'm going to attempt to make Sweet and Sour Pork Balls too which Tops and Big Boy love when we order Chinese in. A quick question for those of you who made it through my blog post, how many portions of fruit and veg do you eat on average a day? Do you plan them out in advance or do you just leave it to chance? I do loved being tagged in a Meme, especially when it's one that I can answer really easily! To celebrate Father's Day this weekend I was tagged by BareNakedMummy to do this Father's Day meme. In fact I was only tagged about five minutes ago and here is the post live! 1. How did you tell your partner they were going to be a dad for the first time? With Tops I came out of the bathroom holding the test and a look of shock on my face. I had intended just to use the test up as it was near it's "best before date" and didn't expect to be pregnant. I think I phoned him for BB but we knew in advance of me taking the test that I was pregnant. It was *that* planned! 2. How did your partner react to the news? Very excited, we were going out to the cinema and I think he grinned the entire evening. 3. What advice/support/thing did you most appreciate from your partner during pregnancy? He let me sleep. I was going to bed at like 7pm every night and he was so good with this. And with the tonnes of squash and ginger I consumed too. Sickness was horrid and he was there for me. 4. What advice/support/thing did you most appreciate from your partner during childbirth? Hmmm. I think I loved that he didn't keep repeating everything the midwife said and he held my hand. That was all I needed. 5. What advice/support/thing did you most appreciate from your partner during those first tough weeks? I didn't change a single nappy for two weeks. Daddy changed them all, and he let me sleep when I could too. He was a love. 6. What’s the funniest story/encounter your child’s father ever had with the baby/babies? I'm not sure actually. I guess it would be that he thought he wouldn't be a great Dad and that he would have to work at it. He doesn't, he's a natural. 7. What do you think makes a good dad? Someone who is there for their children, not just in person but they know they can turn to him when they have a problem. Someone who knows the children's interests and likes and dislikes and friends and favourite place to visit. I guess what I'm trying to say is my husband is a good Dad. 8. What do you most appreciate about your child(rens) dad and want to thank them for? I don't know what I appreciate most because he is a pretty special guy, I want to thank him for being my husband and my children's father, for being there for them and me and my extended family and for being so wonderful. I don't say it often enough but he really is. It should come as no surprise that today's Friday Lunch is a celebration of Top Enders recent Guinness World Record Achievement. Tops has been on the radio, received her certificate in the post, been given a lot of fuss over by all her relatives (well that happens anyway) and today it happens all over again as her School are going to tell everyone during assembly about what she did in her half term. I think that we will always be thinking about the Thomson Family Holidays event and how it cheered up what was a rainy half term! To celebrate today though I thought I should theme Top Enders lunch in to what must be the easiest lunch I've ever made. I started by finding a nice soft roll that was the shape (roughly) of Mr Potato head and making it a nice ham roll. I cut out some ears from ham, a nose from cheese, some teeth from rice paper and he has some arms that are cheese strings too. I had originally planned that his mouth would be marshmallows and his eyes be eggs, but they didn't look right so poor Mr Potato Head had some of his parts stolen! His hat is a teacake on a wagon wheel, a lot more chocolate than Tops is normally allowed during lunch, but hey it's a Friday! We did have to take his arms off to fit him in the lunch box and we had to remove his feet and hat too, but I think squashed up he still looks just like he is supposed to! Tops has already seen him and loves him, and is ready to eat him all up at lunch! Daddy keeps every single receipt he is given. It might be for a packet of crisps that he wasn't supposed to buy, a toilet seat or for a bit to go in a computer. After a while when his wallet is about to explode he swaps them into a box in his bedside drawer and then after a few months when this box is about to collapse he gathers the children around to play The Receipt Game. It's very simple you just have to pick a random receipt and read out what was brought according to the receipt. You can decide who wins based on who picked the highest price item, who picked the receipt with the funniest combination (we once had a receipt for Nappies and Laxatives), by oldest receipt picked, newest receipt picked, item on receipt most used by everyone. It doesn't matter who wins though it's the laughs that you have together that matter. Just in case you don't keep every receipt like Daddy here are some other suggestions of games we play as a family that might keep you and your family amused. 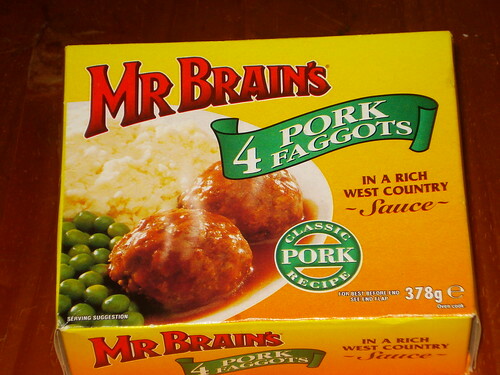 Me: Faggots... You know Mr Brian's Faggots? I am sure that's a typo though and I'm not a cheater! The winner is whoever is last to name a legitimate Brian of Britain. This is one of our favourite games, it could be that you are stuck on the sofa and have to use cushions to jump around the living room, or that you are stuck on a cushion on the middle of the floor and have to jump to safety. It can be played in the garden, the park, the living room, the bedroom... I've even played it on the School playground. There are hundreds of variations too, it could be that there is flooding and you can't swim, or there are crocodiles or sharks or piranhas circling waiting for their next meal. As long as you can make believe there is no end to the game variations. The winner is whoever is last standing. Top Ender invented this when we were teaching her to swim. Now as you can guess most swimming pools don't exactly scream hiding places, but one on one this is quite fun. One person has to close their eyes positioned in a fairly shallow part of the water (the youngest swimmer has to be able to touch the floor) and whilst they have their eyes closed they count to ten. The second person then has to hide. Generally it is best to hide behind the person swimming, and swim round and round as they pretend to look for you or to hold your breath and go under water, but there are some other sneaky hiding places in most swimming pools. The winner is the person who stays hidden for longest. When Big Boy and Tops need to calm down we will have a Zombie Race. Everybody knows that Zombies walk slowly, with their arms out and are often heard muttering "BRAINS!". It's a great before bed calm down game, as it gets everyone walking around slowly. The winner is whoever doesn't get eaten by the Zombies. Sometimes we are a rather impatient lot, and so we constantly ask Daddy (as he is driving) Are we nearly there yet? or How long until we are home? Daddy invented the guess how many cars until home game to keep us occupied on these impatient journeys. The driver gets to choose a colour car (we always make it red) and then everyone has to guess how many cars of that colour we will see on the way to our destination. Everyone has to keep an eye out to see the cars and it's useful if an adult can help keep count. We have found that journeys of around ten minutes are best for this, otherwise it's too long and everyone loses interest. The winner is whoever guesses closest to the number of the chosen colour cars were actually seen. There are a lot more, that we play but I think that this is enough of the crazy from my family for now. What games have you made up that you play as a family? Do you play games that your parents or grandparents used to play with you? What games could you make up? Hot Wheels Drive Me Up The Wall! Just before Big Boys birthday we changed the way that his room looked and with moving some things around we had to take down the Hot Wheels Wall Track that Top Ender had put up for him before Christmas. We knew that we wanted to put it back up because Big Boy really loved having the cars on his wall and it's much easier not having to put the track together each time he wants to play as it's just there on his wall. The box has been in my room for a few weeks now and so when BB saw it this past weekend he was finally not able to handle it any more and very politely (no really he said with a cherry on top and everything) asked Daddy to help him put it up on his wall. Of course Daddy agreed and together they put up the poster and the track on the only spare wall in BB's bedroom. BB is over the moon, he loves making the cars go through the booster and then having them zoom around the rest of the track. So far BB has been very good and hasn't been playing with his cars when he should be in bed, going to sleep... how long should we give it before we catch him out? The other day, whilst I wasn't about, Big Boy was in the bathroom and started to shout for Daddy to come and help him. Daddy went to the bathroom to let Big Boy know that just because Mummy wasn't around didn't mean that Daddy was going to take over wiping his bottom for him. It turned out though that Big Boy didn't need help with the actual wiping, but we had run out of paper and BB wasn't sure what to do. Daddy quickly remedied this by grabbing some of the paper from under the stairs (that's where we keep the spare paper) and he let Big Boy carry on with sorting himself out. 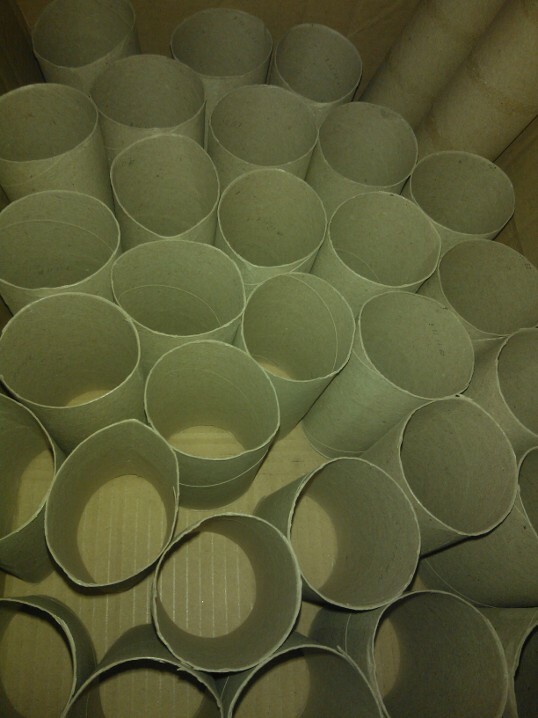 The good thing about having run out of toilet paper was that we got another toilet roll tube to add to our crafting collection and it meant that we were finally able to open the pack of Andrex that was sent to us a few weeks back too. Big Boy had been drawing with Daddy before his bathroom break and had drawn a picture of himself, a clown and a Boss man (You know the end of level character you play against in platform games). Daddy suggested to BB that they could make the Boss Man a 3D model and they used some of the kitchen rolls from our toilet roll box, when doing this. When Tops and I got home, Big Boy showed us his creations and was very proud to have made them with Daddy. Daddy was so impressed with Big Boy and the ways in which he worked to create the Boss Man model. BB seems to have just got a little more mature in the last few weeks and we can see how ready he is for School. I think watching BB over the last few weeks go through these changes has allowed me to see how he is going to be at School, I don't think I'm going to worry that he isn't going to learn or that he isn't going to develop new skills because he is so eager to learn and so excited to experience new things. Now we just need a few more ideas on how to use up all our toilet rolls! All suggestions are welcome as we have enough toilet roll people and toilet roll glasses of juice to last a life time! Like everything Bath time here at AMR is a lot of fun. We make sure of course that we get clean and that we have our hair washed, but we make sure too that we have a giggle with some bath toys and the children love using different soaps and bubble baths to have different scents about them too. 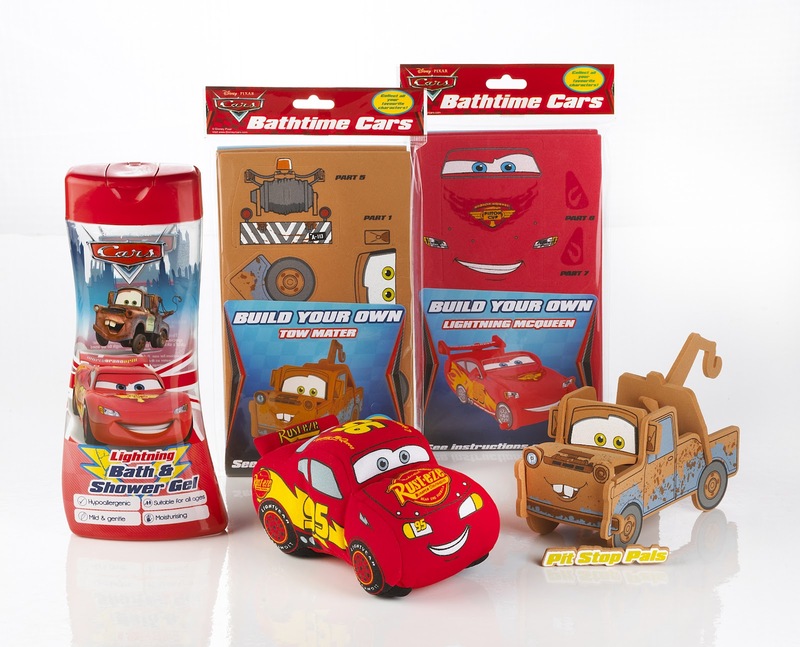 We were sent some bath toys and bubble bath to review from H&A and Big Boy loved that there were some Sponge Bob and some Cars products as they are two of his favourite characters. I put together one of the cars for the bath, but Big Boy has decided to keep this in the living room to play with. Top Ender followed the instructions on the packet and my already made up car to make the second car, and Big Boy is often found mixing the two together to create a Mater/Lightening hybrid. Apparently it's the worlds next super car. Big Boy loves the Sponge Bob sponge, but preferred it in the packet because then Sponge Bob had his square pants so he is living on the sofa for a little while. The flannel was something that he loved though as you can see in the video of him making it change from the little square package it comes from into a full size flannel. 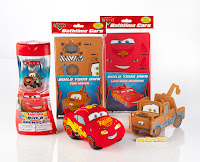 The items are available from Major Supermarkets (and Boots) and are priced from £2 and there are other characters available such as Thomas, Winnie the Pooh, Disney Princess, Disney Fairies and lots more. 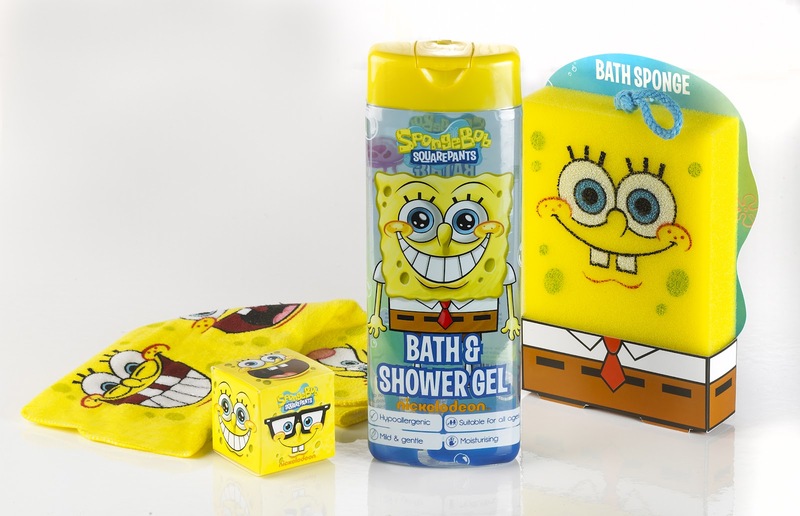 We were sent a selection from the Sponge Bob and Cars range to review. When my Mum went to hospital a couple of weeks ago, we were unprepared. There was a time when my Mum was in and out of hospital and the ridiculous parking fees, stale sandwiches and stupidly small windows of visiting times were just another part of my day, we were used to the jokes that she was trying to get out of family events as I mentioned over on Pippa World, but it has been a couple of years since we have had to deal with it all and in that time we forgot. We forgot that the parking fees in Hospital Car Parks are stupidly high and if you weren't in debt before you went to visit someone you were after. We forgot that if you want to buy food in the Hospital shop that you need a small fortune and even then all you would be able to afford is a Mars Bar because you need to save your change for the car park. We forgot that visiting times are designed to be an inconvenience to as many people as possible, with a stupidly small window at letting out of school time and during the evening when most people are eating an evening meal. We forgot that in order to watch Television for more than an hour in the morning you need to pay huge amounts of money for your own personal screen. What else are you going to do when you can't have visitors for huge parts of the day and there isn't a day room? We forgot that being in Hospital and visiting people in hospital takes a lot out of you, and for some brings back memories of events rather left to the recesses of their minds. One of the big things we forgot though was what a patient needs from home when in Hospital. And that isn't even the full list. This is a totally random picture because nobody likes pictures of hospitals. The staff really were lovely, one of the nurses took a shine to Tops and would come and have a chat with her when he was on shift and Tops was visiting my Mum. One of the Nurses waited until after I left and then told my Mum how pretty I was (I like her) and how she hadn't wanted to say it in front of me in case I was embarrassed. We struggled through and my Mum survived what was a really hard time for her. She hates being in hospital and hates having to add yet another illness to add to her very long list, but she is home now and getting on with life as you have to in these situations. For me it's another medication to add to her already miles long prescription, one more thing to learn about, one more thing to remember when giving her medical history, one more thing in the medical books to tick off as my Mum having and one more thing that we can say my Mum has beaten. It was also a reminder of how much our lives have changed in the last few years. Hospital visits and stays are further apart, devastating news has stopped being given on a daily basis, we are able to pretend that we are just an ordinary family. We know now though that this can change in a heart beat and although my Mum was eventually discharged from the hospital, we have to be ready in the future in case she has to go in again. We have a list, we are checking it twice.